Home Employer Plans HELP CALIFORNIA KEEP HEALTH CARE PLAN CHOICES!! HELP CALIFORNIA KEEP HEALTH CARE PLAN CHOICES!! Your help is urgently needed now! 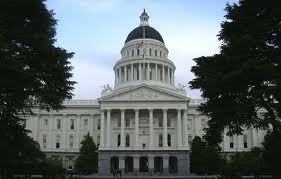 There are two bills pending now in the state legislature that would establish the California Health Benefit Exchange. If signed into law, these bills, AB1602 and SB 900, could create major problems with the individual and small group markets in our state as well as cripple consumer choice and negatively impact our state’s already chronic budget deficit. · Exempt senior staff from the state’s civil service laws, regulations and pay caps. · Provides no fiduciary duty to the Board or senior staff and allows them to make decisions without personal liability for their actions for an agency that could potentially handle coverage for 4-9 million Californians and premiums of $20-$40 billion annually. 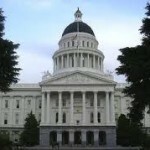 · Allows the Board to act without transparency and exempts the Exchange from the California Public Records Act and Administrative Procedures Act. · The Board can meet in private and adopt rules without public comment and enter into contracts without following state procurement guidelines. · Allows the Board to establish a budget and raise revenue through assessments outside of the normal legislative budget process or controls. · Allows the Board to select how many and what kind of insurance products individuals and businesses may purchase. We urge you to contact Governor Schwarzenegger to oppose passing this legislation! Please click here to let our State Government know this legislation is NOT in the best interest of California citizens!